Microsoft Outlook has become the first choice of all the users when it comes to an efficient email client. Basically, it is a personal information manager that deals with all the user’s data including emails, contacts, calendars, tasks etc. in a seamless way. In Outlook, data is saved in PST files. Sometimes, the size of these PST increases beyond the maximum limit due to the negligence of the user which arises the need of split PST file in pieces . 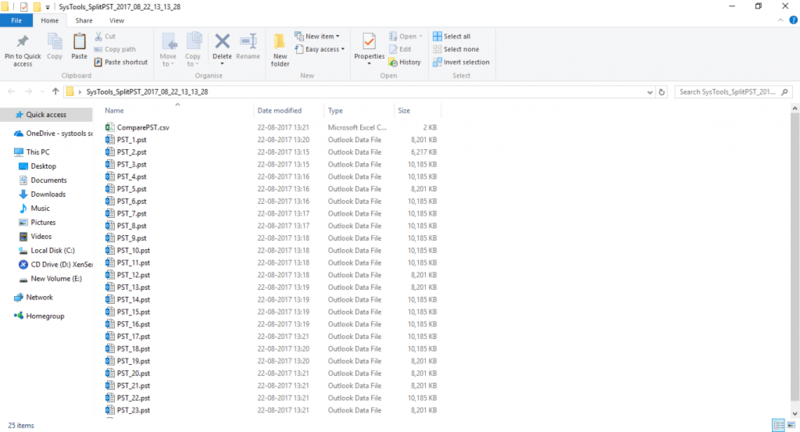 The user keeps on saving data to the PST file without considering the size factor as a result of which Outlook PST files becomes so large.. The user has to face various issues such as corruption due to the oversized PST files. If the corruption issues are not resolved then the user may face data loss issue. Thus, to deal with large Outlook PST file, the user needs to follow a genuine and smart approach. 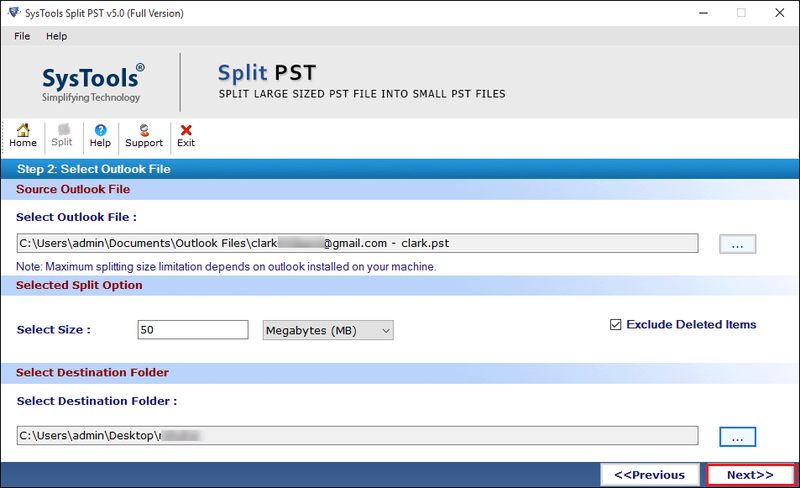 In this blog, we are going to explain different tricks to deal with large Outlook files. Large or oversized PST file always leads to serious issues such as corruption, performance degradation etc. In many cases, users also face data loss issues which occur due to corruption in PST file. Thus, to eliminate all the problems associated with large PST files, the user needs to follow the techniques explained below. If the user’s PST file becomes corrupt due to its large file size then he/she has to repair the large PST file. One can easily implement this task with the help of Inbox Repair Tool. It is Outlook’s inbuilt tool to repair damaged PST file. The user just has to follow the steps explained below to repair damaged PST file due to large file size. To deal with large or oversized PST files, it is recommended to split the large-size PST file. 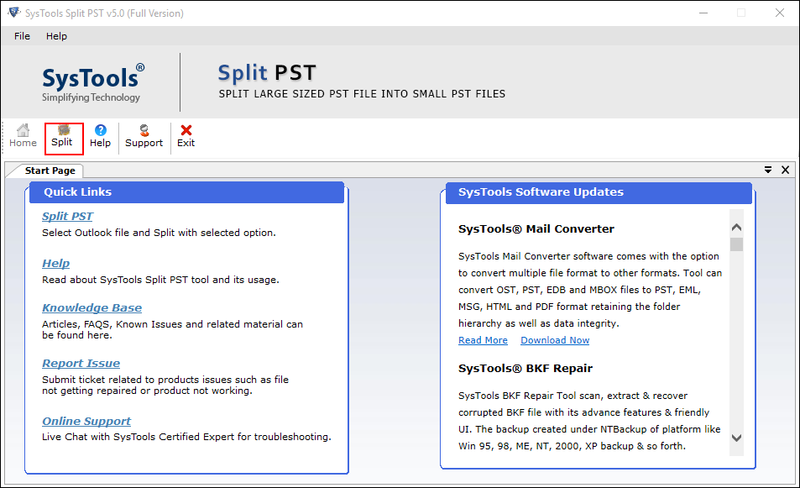 Now, to split the PST file, the user can make use of an instant and smart utility that is SysTools Split PST Tool. The user can easily divide large PST files into smaller parts to avoid 2 GB pst file corruption with the help of the tool. The software permits the user to split large PST files according to date, size, year or folder. Moreover, no PST file size limitation is associated with the tool. The user can easily work with the utility due to its user-friendly interface. 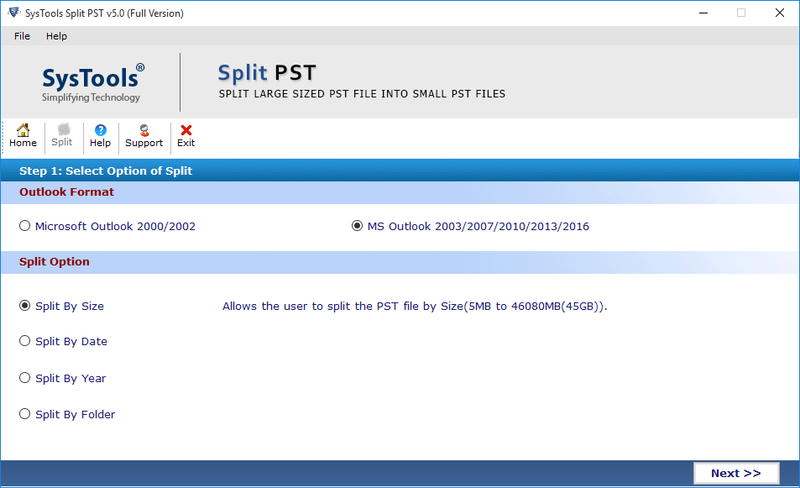 To split the large-sized PST files, the user has to follow the step-by-step explained below. 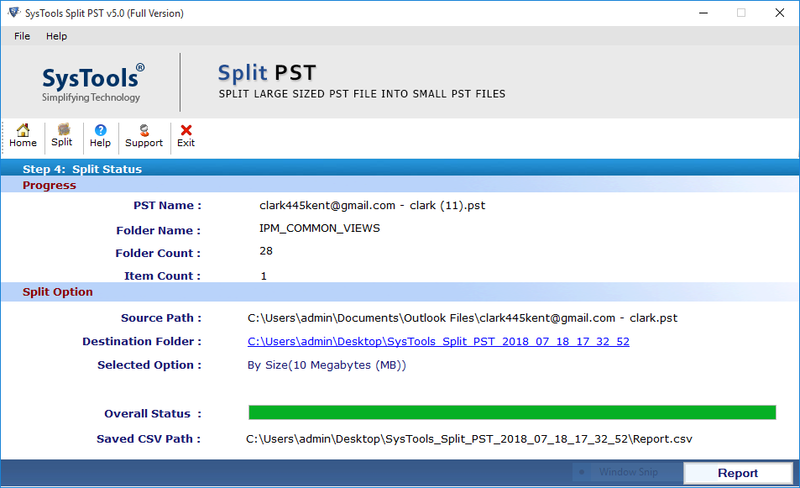 With Split PST Tool – Handling Large PST Files Is Not A Big Deal! Now, you know why is Outlook PST file so large and various methods to overcome it. Due to users habit of saving a lot of data in a single PST file, it becomes difficult to deal with large PST files. Sometimes, the user also has to face corruption in PST file due to large size. Thus, in the above section, we have explained different tricks to overcome large PST file size issue. 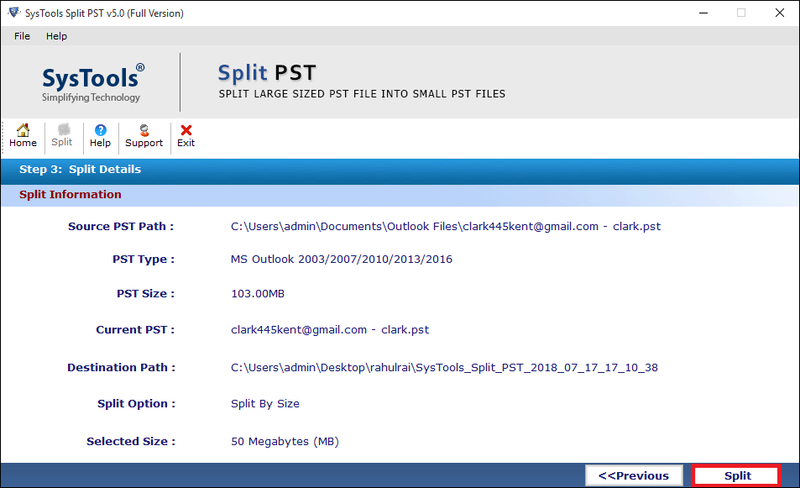 However, the user can make use of SysTools Split PST Tool to split large PST file into smaller parts without any hassle.